Yesterday my husband Tony and I went to Santa Cruz to deliver my painting to The Santa Cruz Art League’s mixed media show, “All Mixed Up”. 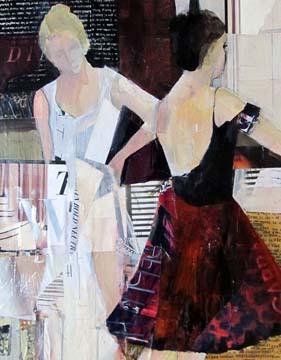 This is a National exhibit and I felt very honored to have my painting “Backstage” accepted. We took off early so we could enjoy the ocean for a while before delivering the painting and making our way back home. The weather was absolutely gorgeous, mild temperatures and blue skies, not a single cloud. The show starts July 11-Aug 10 at 526 Broadway, Santa Cruz, California. I’m looking forward to seeing the show.